It's no secret Harper Lee's first novel, Go Set A Watchman is out in a couple of days. The buzz started the minute people heard it had been dusted off and sent to the publisher. The initial scuttlebutt hummed about who made the choice and questioned the motivation behind its release. Lee wrote the quintessential and possibly most beloved character in literature. 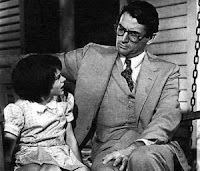 I don't know a person who doesn't wish Atticus Finch was their father. Mockingbird captured the world's imagination both in novel and in film. For me, knowing that Watchman was the first version crystallizes her reluctance to write another novel. It explains her withdrawal from the public eye and her desire to keep Watchman on her shelve rather than share it. The reviews are out. In his later years, Atticus Finch's cultural racism is portrayed. Folks are in an uproar. Here's the deal, those people haven't dealt with an aging parent. In some cases, old folks, even the kindest and most beloved, can get mean. My great-grandmother did. My mother, already mean, is getting more vicious. Also, older people grow afraid. My parents, who I thought were more progressive, are terrified of the change in the world. They desperately cling to radically conservative views and binge on Fox News. I'm sure Donald Trump is my parents' preferred presidential candidate and my mother is Mexican. It isn't rational. Watchman is a young woman's realization that her parent isn't the man she believed him to be. I get it. You gotta give an author a break. Atticus Finch grew bigger than her book. He became the de facto father to millions and millions of readers. Gregory Peck personified the character with a sense of dignity unparalleled in any role I've seen since. I'd have been terrified to publish that second novel too. Over the course of her lifetime, she watched the love and devotion swell out of her control. Think. If J.K. Rowlings suddenly wrote an expose about Harry Potter as a crappy, cranky old man, the world would shudder. I've taught Mockingbird to high school students. Of course, like everyone it's on my all time favorite list and I return to it when I don't have anything else to read. I adore Atticus. I also understand that Atticus in defending Tom Robinson wasn't declaring to be an equal rights defender. He was defending the law. Defending an innocent man and supporting desegregation in the south are two different animals. Nothing in Mockingbird tells us Atticus was politically progressive. He employed Calpurnia, not without kindness, but there's no mention of his concern for her family when he asks Cal to stay the night at the last minute. He takes her presence for granted. Sure, he has empathy for Mr. Cunningham's poverty, but the farmer is white. I can see how, through a child's eyes, the Atticus in Mockingbird is idealized. I can also understand how the aged Atticus can be crotchety, bigoted and politically conservative. It's the contradiction of growing up. We become disillusioned with the people our parents actually are compared to who we believe them to be. It's a right of passage. It's no wonder to me that Lee became trapped by her own character. 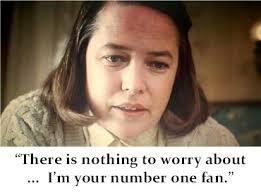 Much like the writer in Stephen King's Misery, she was shanghaied by America's infatuation with Atticus Finch. Now it's time for the rest of us to grow up. The more I hear, the more I want to read the book. It appears it reflected the time and place of the setting, and that could make it as significant as Mark Twain's classics or Uncle Tom's Cabin. We need to stop trying to redefine history and instead embrace history to understand what went wrong. That's how we learn to be better as a nation and as individuals. I blogged about Harper Lee's new book recently. As I was explaining in my post, I plan to read the book, in spite of some of the backlash I've seen. And even if Atticus is different from the Atticus I knew in Mockingbird, I'm interested in seeing why he is this way, even if I don't agree with who he is. Cynthia, I'll shoot over to read your blog! Living in the south must be a complex experience, particularly for those who grew up in the midst of such dramatic change. My thoughts weren't really about the story or the quality of the work rather how readers' demands can trap an author and in my mind, in this case, paralyze them. I'm not certain I'll read it only because of the mixed reviews about the caliber of the writing, reading as an author has also become a minefield for me. I just hope, as Patricia remarked above that readers think about the era rather than harpoon the story because Atticus Finch is a more intricate character than we knew him to be.